Chicken Stir Fry with Mushrooms and Garlic Ginger Sauce - Kosher In The Kitch! 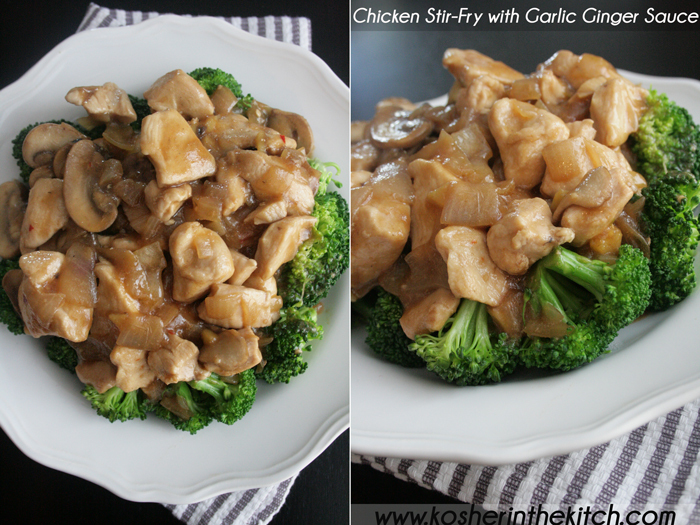 Chicken Stir Fry with Mushrooms and Garlic Ginger Sauce - Kosher In The Kitch! In a small bowl combine the above ingredients and mix well to dissolve corn starch. Heat a wok or frying pan with 1 tablespoon oil and saute onion, ginger, garlic, and chili pepper until tender. Add chicken chunks to pan and cook until no longer pink. Once cooked, remove chicken and onions from pan and set aside. Add 2 tablespoons oil to pan and saute mushrooms until soft then add the chicken back to the pan and mix with the mushrooms. Slowly pour sauce over chicken and mushrooms and stir together until sauce thickens. Serve over steamed broccoli or rice. *Tips & Tricks: If you don’t have fresh ginger you can use ginger powder instead. Just add it in the sauce. You can swap mushrooms for any of your favorite stir fry veggies! Oh my, this is a favorite and would go over well, at my home. Thanks for sharing. Do you need the chili pepper? I’m afraid some of my more sensitive children won’t like it. Any suggestions for a substitute? Pnina, skip the chili pepper and and red pepper flakes when serving to adults if they want it spicy! 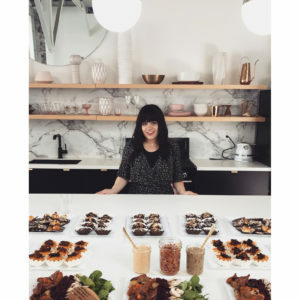 Amazing recipe – one of my family’s favorites! Toda raba Nina :) !! So happy you and your family enjoyed it!